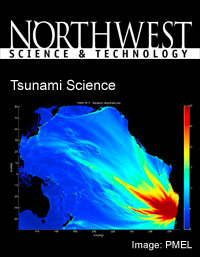 NWS&T provides a forum to highlight science and technology news in the greater Pacific Northwest (Washington, Oregon, Idaho, Montana, Wyoming, and Alaska). It was launched March 1, 1999 by the University of Washington (UW) as a print magazine and was converted to a web format in Winter 2005. Our mission has been to showcase the vibrant and wide-ranging technical community in the region while serving as a platform for a science and technology writing curriculum at the UW.